So here I am with another awards post. I’ve done well so far, so I figured I’d go all out and enter a prestigious International Photography Competition. The International Loupe Awards is just that. You have the best photographers in the world entering and the best judges from around the world judging. 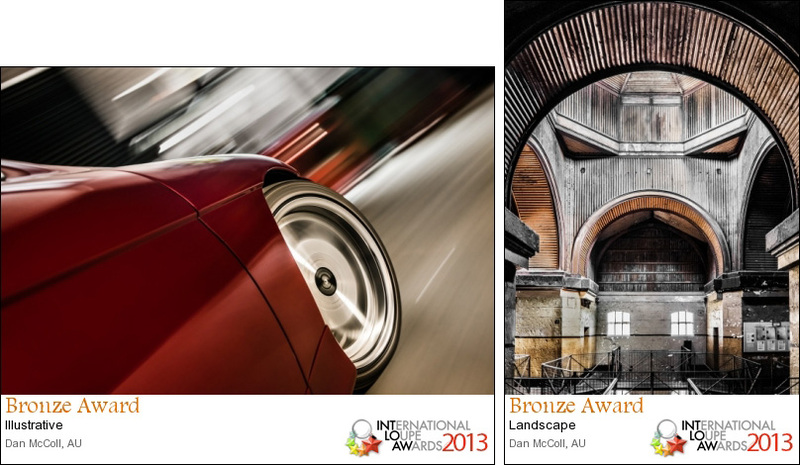 With scores of 82 and 82 for both my car and the Old Melbourne Gaol I was awarded a Bronze award for each. The awards are a little different between the Australian Awards and the International one. I’m now proud to say that I am an International Award Winning Photographer. My contact details are on the ‘contact me’ page if you’d like to commission me for your own photographic needs. As for the Emu, well, Judges still hate Emu’s so I didn’t enter it this time, though I am curious as to how it would have scored in International Competition.